With all my traveling, sewing, soap making and present wrapping, i missed out on participating in much handmade holiday conversation here at Not Dabbling, so my post this week will be a run down of all the projects i worked on this year. Check out An Austin Homestead in the next week or two to see all my projects revealed. You can also find all my original handmade holiday posts in the archives on the left sidebar. I got started with my holiday gifts early this year, beginning in September with some canned blackberry jam made from berries i picked just down the road, blended with dried cayennes saved from my Austin garden. While i harvested gobs of berries and sold veggies to folks at the local farmer’s market, i was inspired to make my own produce bags for use at market and at home. I played around with my crochet hooks and came up with a sweet and easy pattern. I made at least 6 of these to give to several family members as Christmas gifts. *And i’ll be posting a tutorial on how to make your own market bag soon- so stay in touch and crochet with me! 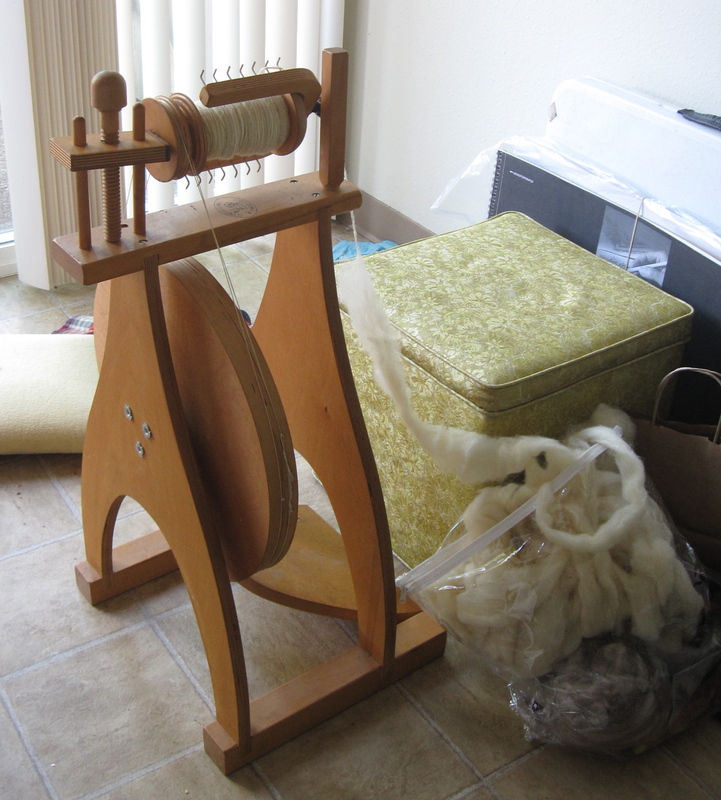 My spinning wheel was a big contributor to my gifts this year. 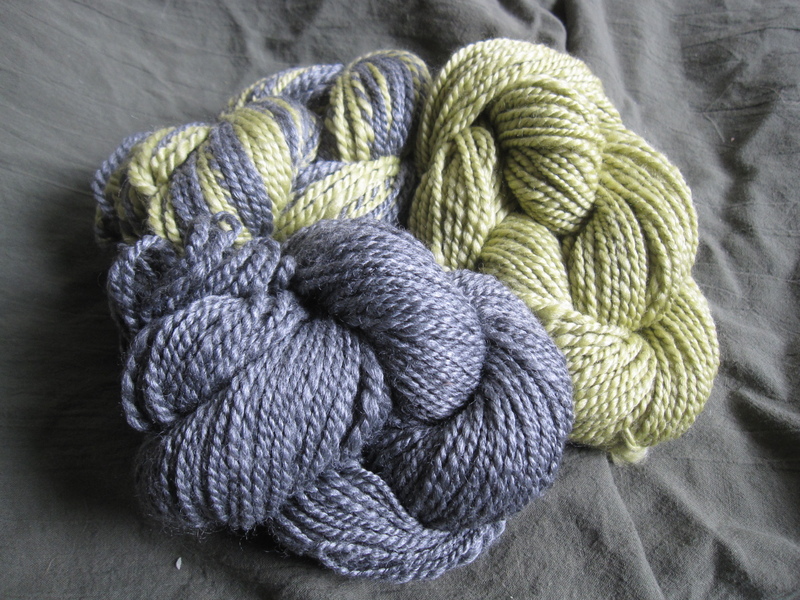 Not only did i give some beautiful skeins of “meriboo” (merino/bamboo) yarn to my mother in law, i also spun the yarn for several knitting projects for other loved ones. One mother has a new scarf, one father has a new hat, and each sister has a headband or hat. 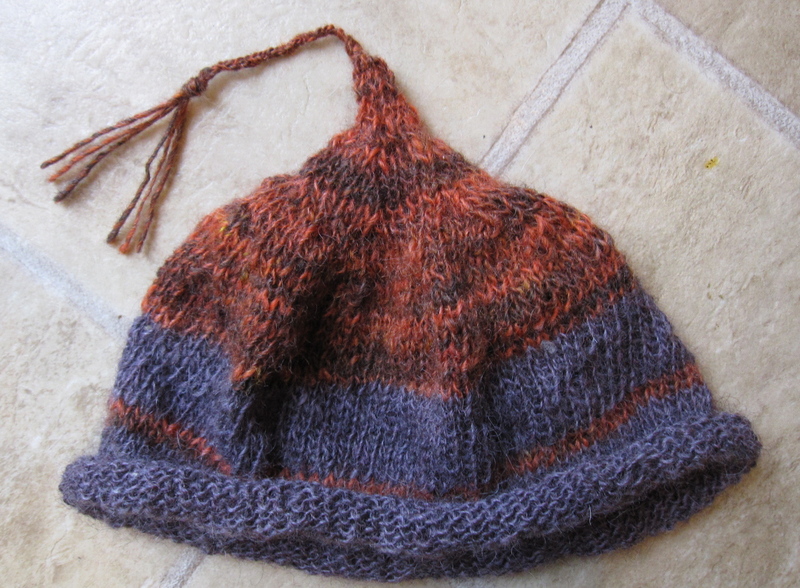 I am especially proud of two hats i knitted for my two best friends. 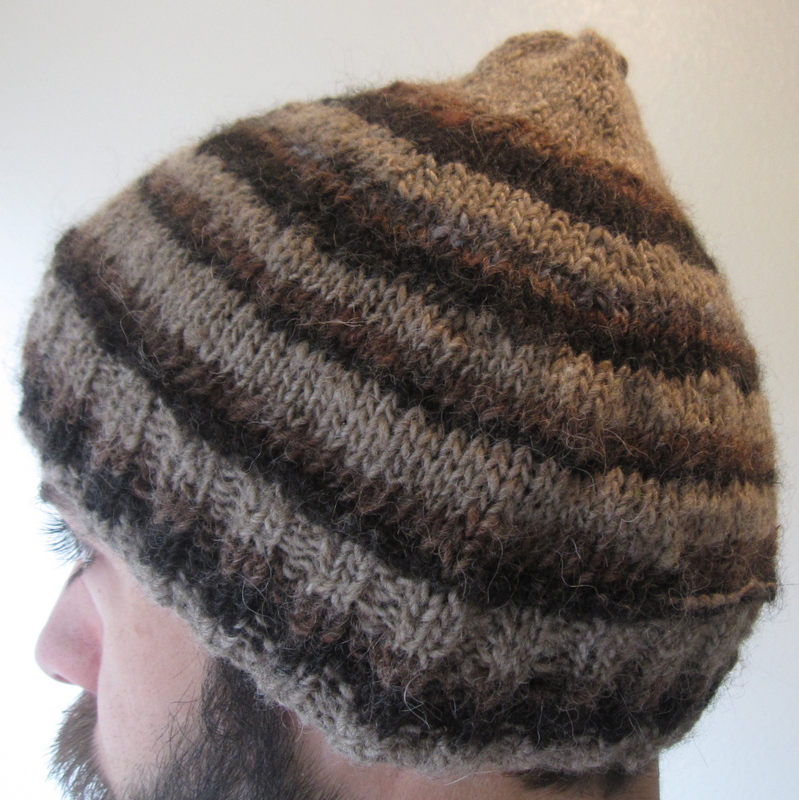 One is in Texas, the other in New York and thus one has ‘not so warm’ hat, and the other an extra warm hat made of handspun quivit fiber (musk ox). I don’t yet know how to follow a knitting pattern, so all my projects come out rather “uniquely” which makes them even more special: they’re the only ones like them! Giving my handmade gifts filled me with so much pride this year. I think my recipients loved their gifts, and i could tell they were all touched by my truly ‘hands on’ experience with each of their presents. Whether spun then knit, or picked then canned: all my gifts started with me from scratch to become treasured and useful possessions that will hopefully remind my recipients of me whenever they taste, wear or use them. 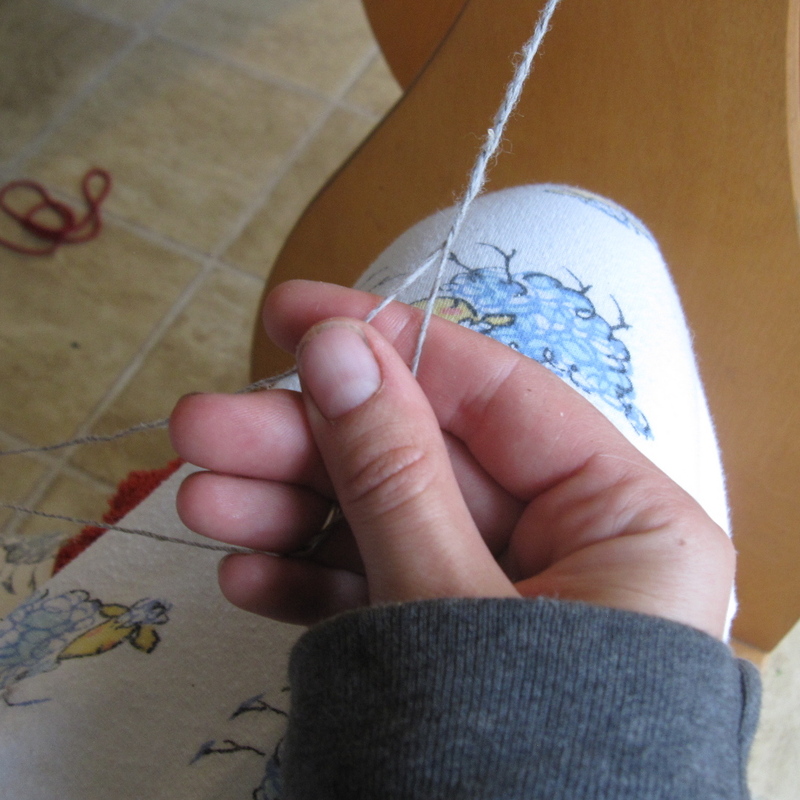 To sit down to spin yarn for a project for someone you love to enjoy for years to come: THAT is what Christmas is all about, Charlie Brown. For me, at least. In these dark days after Christmas (and other gift giving holidays) and before the new year, what thoughts and gifts are you pondering – both given and received? What present (given or received) stands out in your memory as the most treasured this year? Some of my very first handspun, totally uneven, but super soft! Spinning is an ancient art that is so simple yet so complex. 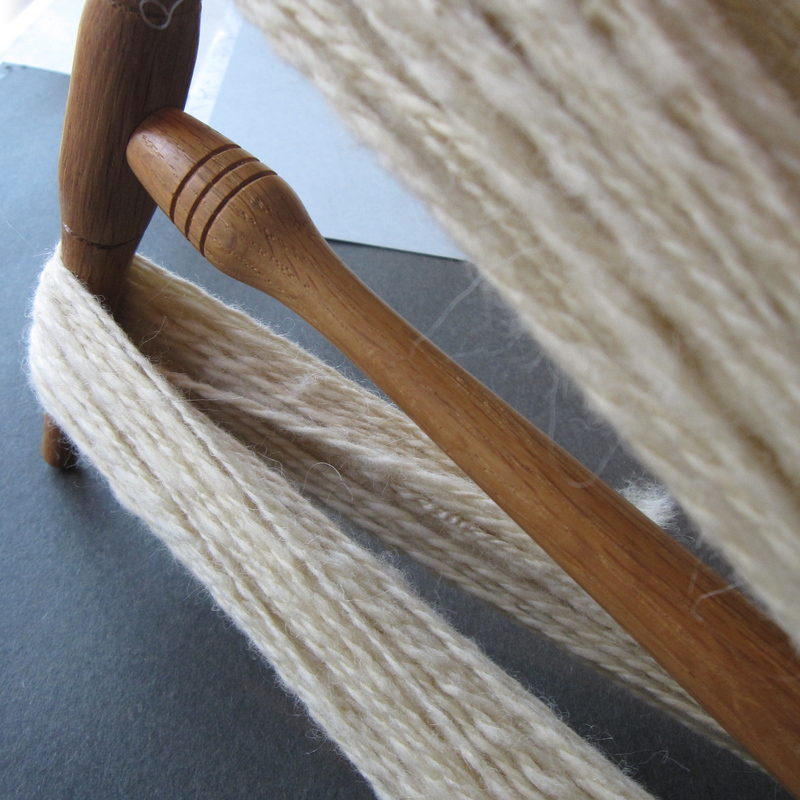 By carefully holding the fiber of animals or plants in one hand, rotating it using a spindle or spinning wheel, and gently tugging it forward and back, you can create yarn: something beautiful and strong that can be used to make functional and long lasting garments. What’s better than that? I am also a sailer, or was in my younger days, and spinning is a bit like sailing in that you’re grasping just a few simple elements and harnessing them to do what you want. 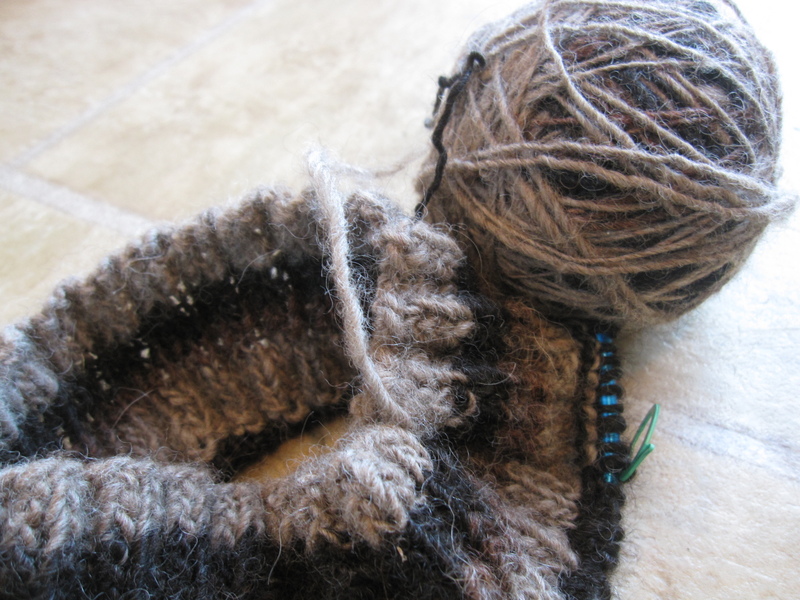 Wind and water make you go, fluff and twist make beautiful yarn. Ultimately, I will be raising many of the animals who will contribute the fiber that i spin. I’m thinking of raising Icelandic sheep for their fiber and their meat, pygora goats for their cashmere-like fiber and friendship, and a few fluffy rabbits from which the softest of fiber comes. To raise an animal, sheer it, wash and prepare its fiber, spin it into yarn and create a sweater to be worn for the rest of your life: now THAT’S the reason that i spin. Spinning is relaxing, rewarding, and reconnects me to a time before the hussle and bussle of this century – and i get to wear or clothe my loved ones with the fruits of my labors! Are you a spinner? I know there are more of us out there than some may think… Why do YOU spin?